UFC Fight Night 108, which is slated for March 18 in London, has landed a battle between two Top 10 light heavyweights. No. 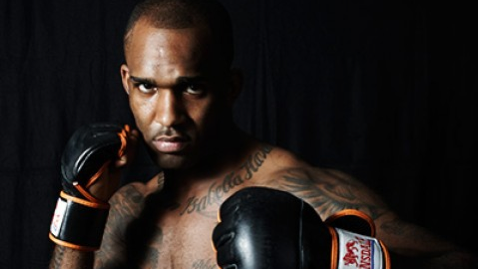 5 ranked Jimi Manuwa will get a hometown fight against No. 9 ranked Corey Anderson when the UFC returns to O2 Arena in London. Although UFC officials have yet to announce the bout, sources confirmed the fight first reported by FloCombat on Saturday. Manuwa (16-2) made an immediate impact on the division upon his UFC arrival in 2012, reeling off three consecutive victories. He has stumbled in two of his four most recent bouts, losing to Alexander Gustafsson and Anthony “Rumble” Johnson. The American-born Englishman most recently scored an impressive victory by knocking out Ovince Saint Preux at UFC 204 in Manchester. Anderson (9-2), meanwhile, bounced back from a loss to former light heavyweight champion Mauricio “Shogun” Rua by stopping Sean O’Connell in the second round of their fight at UFC Fight Night 102 in Albany, N.Y., in December. The promotion has yet to announce a headliner for the March 18 fight card.